Machined out of 7000 Series Aluminium for the Standard 2011 Frame width 21.1mm or .830". Blast deflector shield keeps the C-More lens free from venting gases and debris from the compensator. The single sided design prevents interference with ejection. Built for C-More Slide Ride models. Light weight aluminium or no lightening holes, C-More mounting hole pattern. Our pre-drilled Allchin Style Scope Mount includes 5 x 5/40" mounting screws. 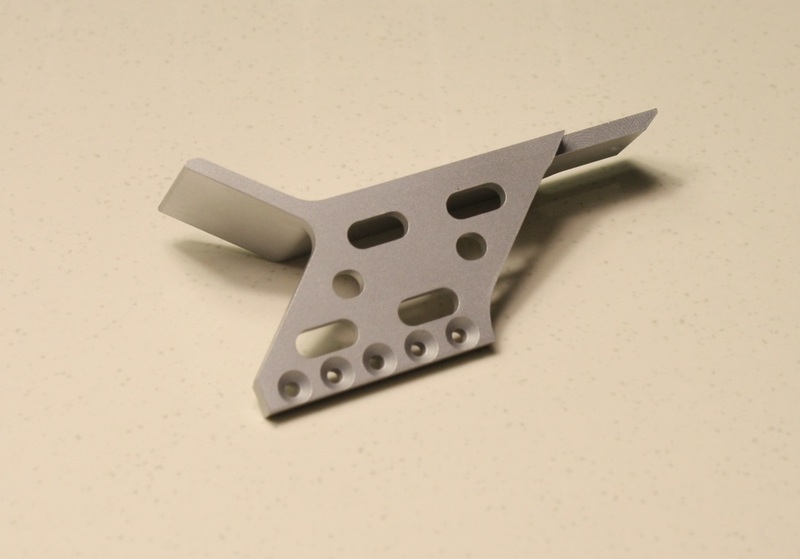 A machined aluminium thumb rest can be attached with 2 mounting screws for an additional $45.00.